Hi-Five Studio: Milwaukee's Segregation Doesn't Exist Here — Carvd N Stone Inc.
Milwaukee is filled with a lot of ugly truths, one being segregation. The invisible lines in Milwaukee are actually very distinct, in that Milwaukeeans can tell which side of the city they’re in by just looking at the people around them. But, what if individuals had a space they could come to that fed into their creative side, while also giving them an opportunity to meet other creatives from around the city? Hi-Five Studio is that space. Owner Ryan Rosmann said he wanted to provide a platform where he could help foster the upbringing of the city. Rosmann and Artist Relations and Producer of Hi-Five, Dev Diamond said networking and working together is the key to Milwaukee’s success. Every month, Hi-Five hosts a networking event at their studio, located at 3276 N. Weil St., because in a world of technology, we sometimes forget to communicate face to face. According to Rosmann, around 100 people attended last month’s event. Hi-Five has been around for a year and has been growing organically from word of mouth. A studio that has top-notch equipment, a welcoming attitude and feels like a family is something Milwaukee’s creative community cherishes. Every day the studio is filled with different artists and creatives from around the city who sometimes just come to be in a space that’s filled with people who genuinely care about them. Rosmann says it’s not always about the money and music, but it’s always about positive vibes and impactful change. Diamond didn’t talk much throughout the interview, but he did state that it’s about confidence. According to Diamond, the people you keep around you can either break or make you. As you grow in whatever you do, make sure you can trust and lean on the people around you, he said. But when it comes down to it, Hi-Five is a studio that produces quality music. 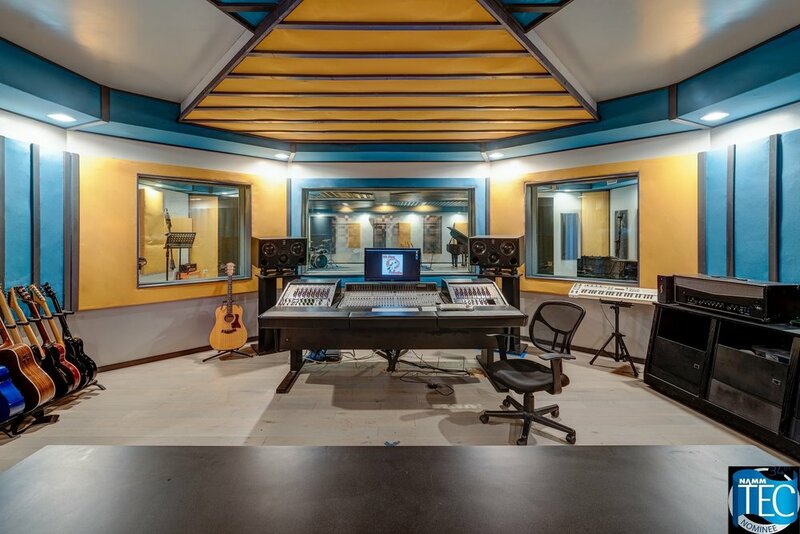 For this studio to only be around for a year, they’ve worked with an extensive list of artists, that’s growing by the day. “Industry sound, family atmosphere,” is how Rosmann summed up what Hi-Five is. To book with Hi-Five Studio contact them via email at booking@hi-fivestudio.com and make to sure to visit their site.